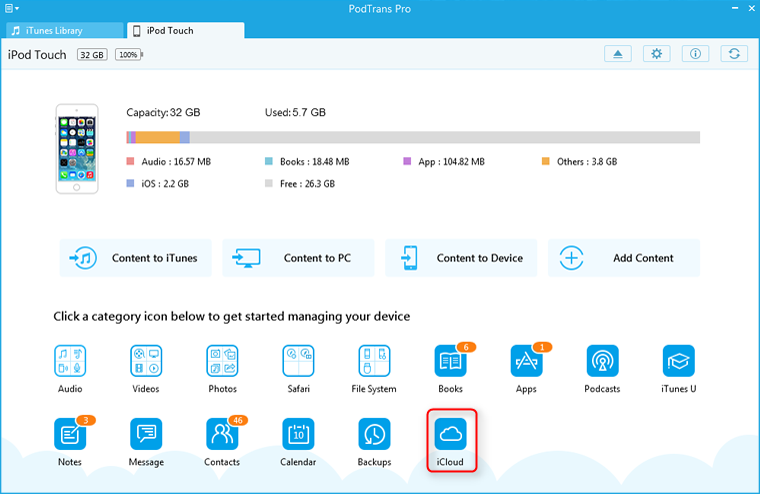 PodTrans Pro is able to access and manage the iCloud data. It will check all backups after log in your Apple ID. No matter where you go, you can share your saved data from iCloud with your family, friends, or colleagues. 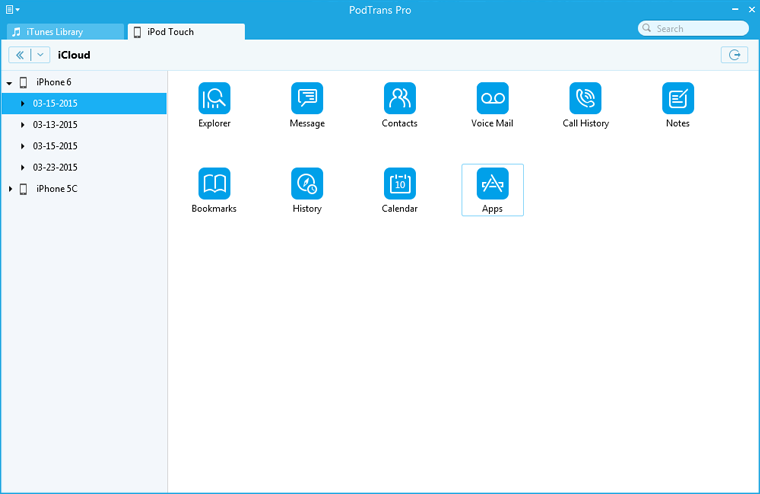 Step 1: Connect your device to computer before launching PodTrans Pro. Then, click iCloud icon. 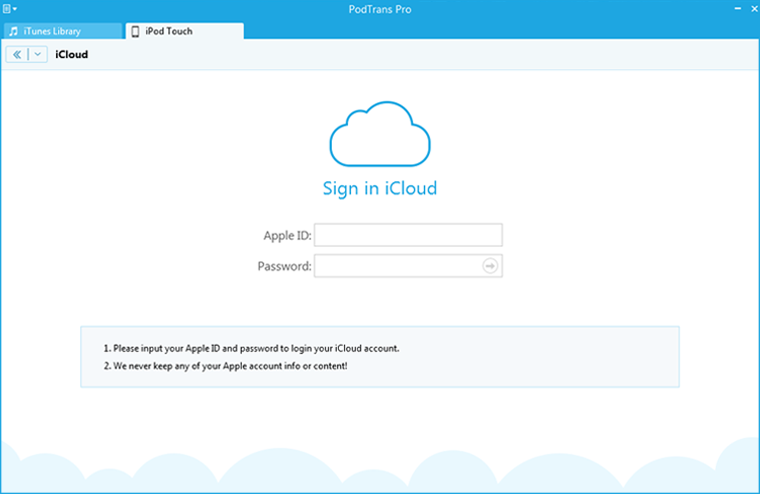 Step 2: Input your Apple ID and Password to log in your iCloud account. Step 3: Here you can see all your iCloud backups. Pick one of them to browse the detailed information. 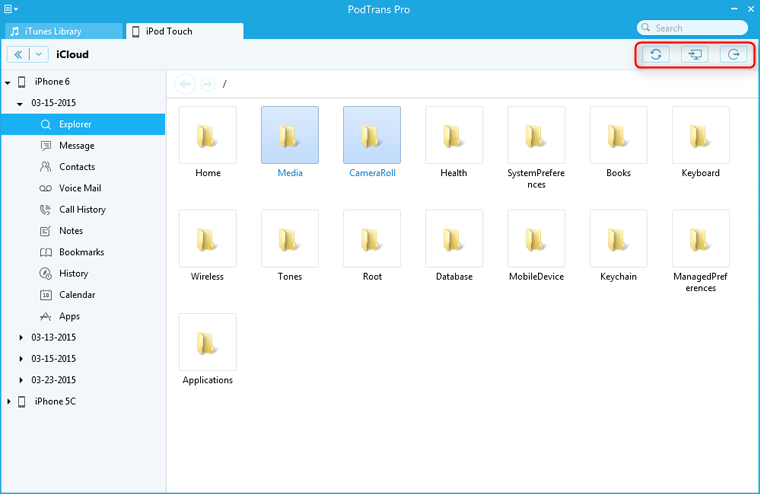 Step 4: Pick the file or folders you wanted to export them to computer.